Scott Alexander currently serves as the managing partner of Murphy Austin Adams Schoenfeld LLP. 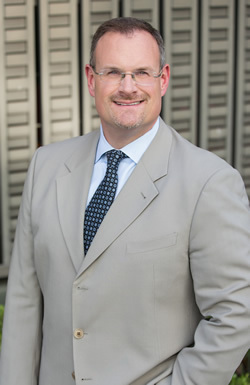 Scott practices business and commercial litigation throughout all California state and federal courts, with a primary emphasis in construction and real estate litigation, public contracts and complex contract disputes. Scott routinely represents public entities, private owners, general contractors, subcontractors, and architects and engineers on a broad array of issues within the construction industry, including contractor licensing matters, bid protests, prosecution and defense of impact, delay and disruption claims, defective construction claims, complex contract disputes, negligence and tort claims, false claims, and mechanics’ lien, stop notice and bond claim actions. Scott’s broad experiences on public (both state and federal) and private projects have provided him with critical background in the areas of design and engineering standards, construction management, construction means and methods, and the presentation and defense of construction claims. During his legal career, Scott has attained considerable trial, writ, arbitration, and mediation experience. He has also appeared and submitted briefs before the California Courts of Appeal. In addition to his litigation practice, Scott has significant experience drafting and negotiating all types of public and private project construction contracts, including design-build and energy service performance contracts, and related construction documentation across various construction project delivery systems. Scott presently serves as general counsel to both a chamber of commerce and a travel and tourism organization located within the Sacramento region. Scott received his J.D., with distinction, from the University of the Pacific, McGeorge School of Law in 1997. Prior to receiving his law degree, Scott facilitated municipal finance transactions and drafted related legislation for the California Housing Finance Agency. He graduated from Rhodes College in Memphis, Tennessee with a bachelor’s degree in Business Administration and Economics. Prior to joining Murphy Austin Adams Schoenfeld LLP in January 1999, Scott was an associate in the Business and Tort Litigation Group with Diepenbrock, Wulff, Plant & Hannegan, LLP. Scott is recognized by Martindale-Hubbell as an AV® Preeminent™ Peer Review Rated lawyer. Prosecuted to successful resolution a multi-million dollar direct cost and impact claim on behalf of a mechanical contractor arising from its modernization of an extensive truck load-out at a wastewater treatment facility. Represented electrical subcontractor in the successful prosecution of a multi-million dollar delay and labor productivity claim arising from the construction of a new baseball stadium. Represented contractor in the successful pursuit of multiple direct cost and impact claims arising from both water and wastewater treatment facility projects, including the defense of liquidated damage assessments and false claim allegations. Represented public owner of a metropolitan airport facility in the evaluation and successful prosecution of significant design and construction defect claims arising from a large renovation and expansion project. Represented municipality in the defense and, ultimately, the favorable resolution of a prime contractor’s damages claim in excess of $28 million arising from a wastewater treatment expansion project. Represented municipality in the successful defense of contractor claims for direct costs and impacts arising from the construction of new parking structure. Represented private commercial facility owner in the successful resolution of construction defect claims arising from the facility’s roofing system. Represented special district in the pursuit and successful resolution of both design and construction claims associated with a defective roofing system. Represented contractor on claims in excess of $1 million against a subdivision bond subsequent to the project developer’s default. Significant experience and success handling all aspects of the pursuit and defense of bid protests on California public works projects, including writ proceedings. Revised and drafted front end bid documents, including general conditions, on behalf of numerous local public entities throughout the State of California. Drafted and negotiated prime contracts and subcontracts representing hundreds of millions of dollars of public and private construction project work.